Three Egyptian political parties – the Nour Party, the Conservatives Party, and the Egyptian Socialist Democratic Party – have declared their rejection of proposed amendments to Egypt’s 2014 constitution. The parliamentary spokespersons of the three political parties said in a plenary session on Tuesday that they will vote against the amendments. Ahmed Khalil, the parliamentary spokesperson of the ultraconservative Salafist Nour, said that his party will vote against the amendments because over Egypt being described as “a civilian state” in the newly amended constitution. “If the word ‘civilian’ means a non-theocratic state or a non-police or military state, we will vote ‘yes’, but if it means a secular state, we will vote ‘no’,” said Khalil. “I hope when we come to vote on this article, your party will change its opinion and opt to vote ‘yes’ for the amendments,” said Abdel-Aal. “We believe that parliament does not have the authority to amend the constitution, and that a constituent assembly should be formed to take charge of this job,” said Qortam. “We also reject the amendments because they represent an aggression on the basic principles of the constitution, primarily the principle of rotation of power, and we believe that a president should not stay in power more than 10 years, because this means that he can stay forever and that he is not here for a temporary job,” he added. “In the current constitution, we have Article 226, which allows MPs and the president to propose amending one or more of the constitution’s articles,” said Abdel-Aal. “Besides, the second chapter of the constitution, dealing with the basic pillars of society and the state, will not be changed at all,” said Abdel-Aal. Ihab Mansour, the parliamentary spokesperson of the Egyptian Social Democratic Party, also said his party is against the amendments. “We think it would be better to change the constitution as a whole, but what we see now are some amendments which serve personal interests,” said Mansour. 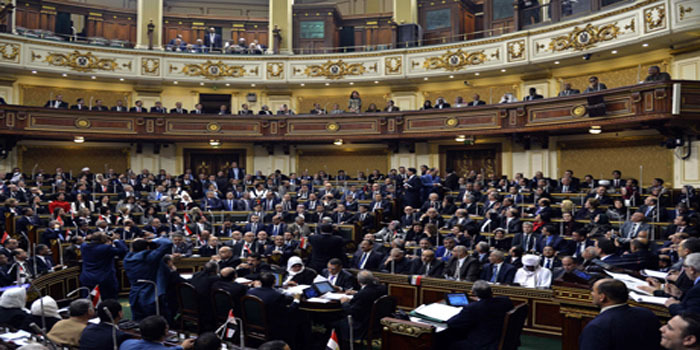 Parliament began Tuesday its final meeting on proposed amendments to Egypt’s 2014 constitution. Bahaaeddin Abu Shoqa, head of the Constitutional and Legislative Affairs Committee, reviewed a report prepared by the committee on the amendments. Following this, speaker Abdel-Aal decided to give the floor to the spokespersons of political parties. He said he will also give the floor to 10 MPs affiliated with the majority and 10 MPs affiliated with the opposition. “At the end of this, I will take the final vote on the amendments,” said Abdel-Aal.